Samiran Sarkar is an Indian landscape painter. 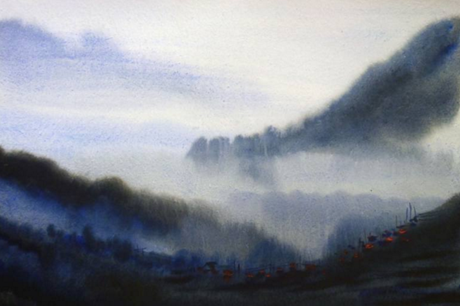 This piece is titled “Beauty of Monsoon Himalaya Landscape”. You can view more of Samiran’s work through Saatchi Art.